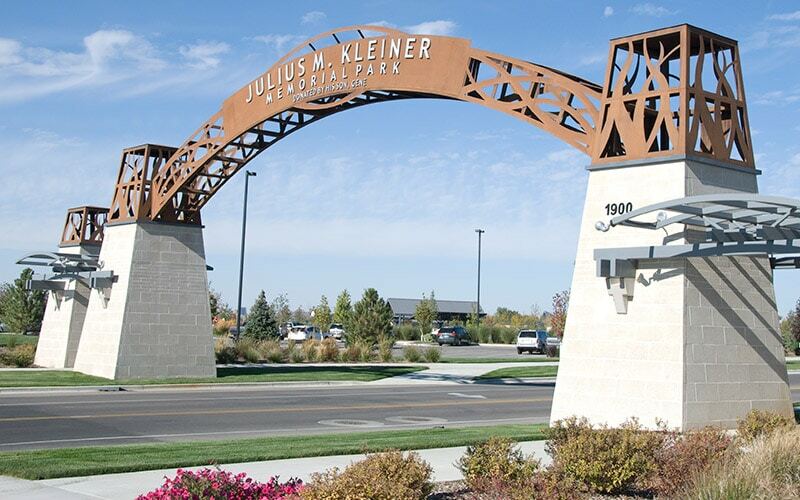 In 2009, Jensen Belts Associates was commissioned to master plan a sixty-acre community park on private land which will be donated to the City of Meridian after construction in 2011. 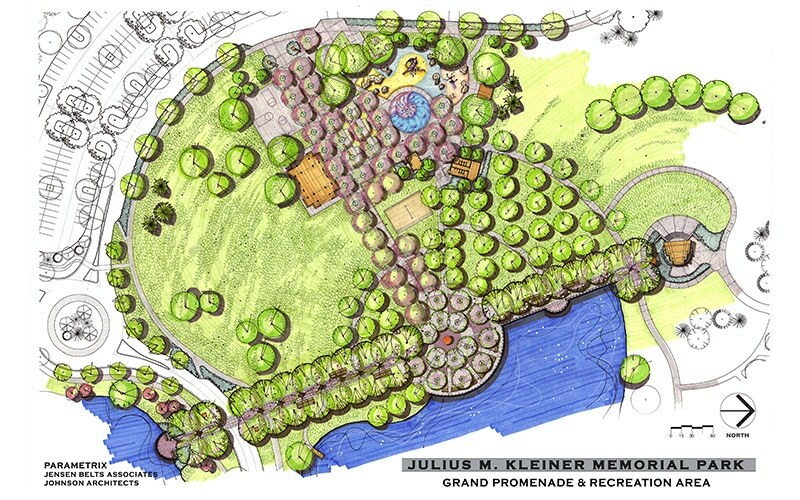 The Kleiner Park Trust donated the land and 15 million dollars for development. 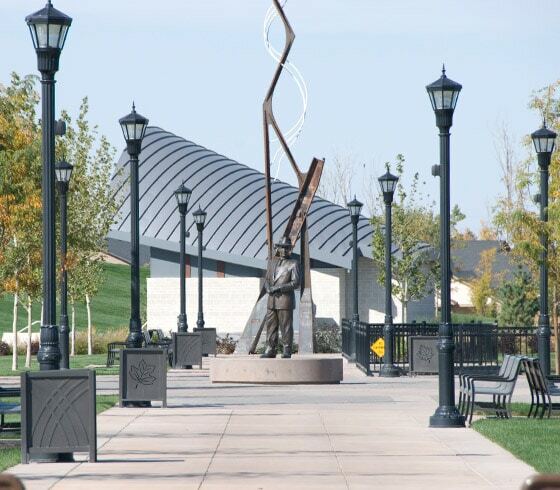 The park is located in an area of bustling new development, at the center of Boise’s Metro Area, and will serve as a transition between a busy commercial district and a sleepy residential neighborhood. It will be a showcase for the community at large. 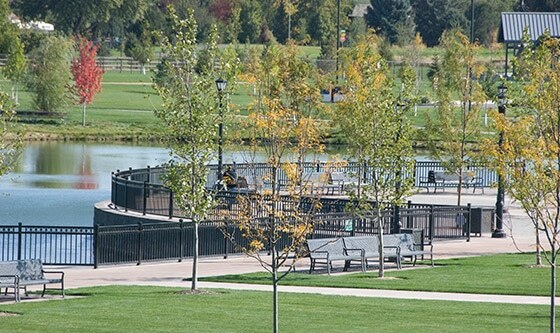 Park components include: a band shell and earth amphitheater; two large, custom picnic shelters and three smaller shelters plus tot-lots, a large recreation area with boulder style climbing walls, playground equipment, water play, bocce ball, volleyball, tennis, basketball, disc golf, concession stand and plenty of open field play; a lake complete with fishing docks; a civic complex with a branch library and senior center; arboretum with a labyrinth center piece; public art; walking paths; and a grand promenade and memorial plaza to serve as the heart of Kleiner Park.